URUNGA's award winning Riverside Holiday Resort has been granted $950,000 to put towards its planned expansion. The grant, from the Commonwealth's Building Better Regions Fund, is a contribution towards an upgrade that will almost total $3 million. The upgrade will see the number of self-contained units at the complex increased from 30 to 38 with the funding also helping to build better parking, storage and office facilities. The Rosalie Stollery-designed resort won first place for the quality of its self-contained units at last year's NSW Tourism Awards. 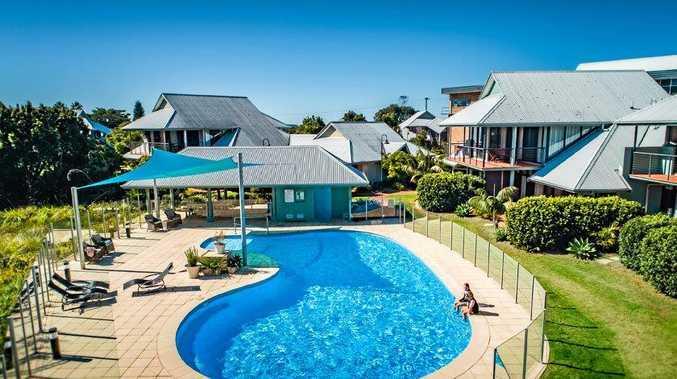 Federal Member for Cowper Luke Hartsuyker said the project was a great boost for the resort, which is a major contributor to the Urunga economy. Mr Hartsuyker praised the Federation of Community Sporting and Working Clubs, which runs the resort, for the emphasis it will continue to place on making its facilities more accessible to disabled holiday makers. Two of the eight units to be built will be wheelchair friendly. Several units at the resort are already wheelchair accessible, which is in addition to a hydro-lift at the pool and interconnected pathways that make it easy for wheelchair-bound guests to enjoy the boardwalk and spectacular ocean views at Hungry Head. Jo Brotherton from the Urunga Chamber of Commerce, Melinda Pavey, State Member for Oxley, Cowper candidate Pat Conaghan, Ken Conway who is CEO of resort owners the Federation of Community Sporting and Working Clubs, and Luke Hartsuyker, the outgoing Member for Cowper. .
"This emphasis was undoubtedly a big factor in the success of the application for financial support," Mr Hartsuyker said. 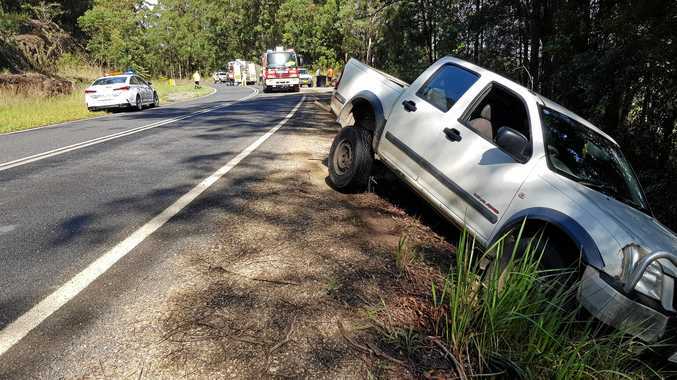 "Urunga is a great holiday destination for anybody, with all the recreational opportunities the area offers, but it is commendable when a business takes into account special needs." Ken Conway, CEO of the federation, said local labour and supplies would be used in the upgrade, as was the case with previous construction at the resort. In thanking Mr Hartsuyker, Mr Conway said the expansion would generate several full time equivalent jobs when complete. 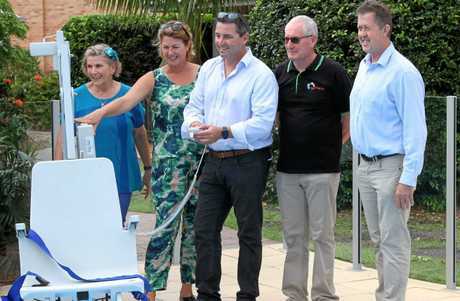 "We are very proud of the product we are offering, and of the emphasis we put on making the experience of a holiday in Urunga accessible to all," Mr Conway said. Member for Oxley, Melinda Pavey said the resort already has an enviable reputation among operators and visitors. "The expansion will grow that reputation even further and the flow-on effect of more staff and more visitors will support Urunga's business community," Mrs Pavey said.